This is a BEAUTIFUL luggage set! Head over and checkout this Savannah 3-Pc. Hardside Spinner Luggage Set $99.99 (Retail $360). Available in Red, Orange and Green. 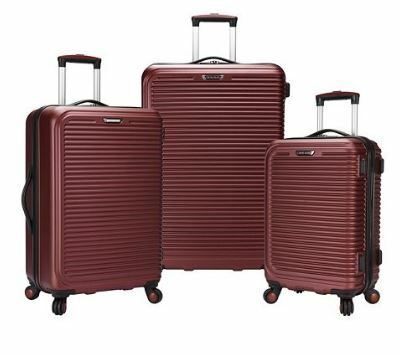 You're ready for any journey with this set of hardside luggage from Travel Select. The three pieces range from a roomy 28" to a compact carry-on, all with smooth spinner wheels to help ease the way. The stylish finishes are flexible to help absorb impact.